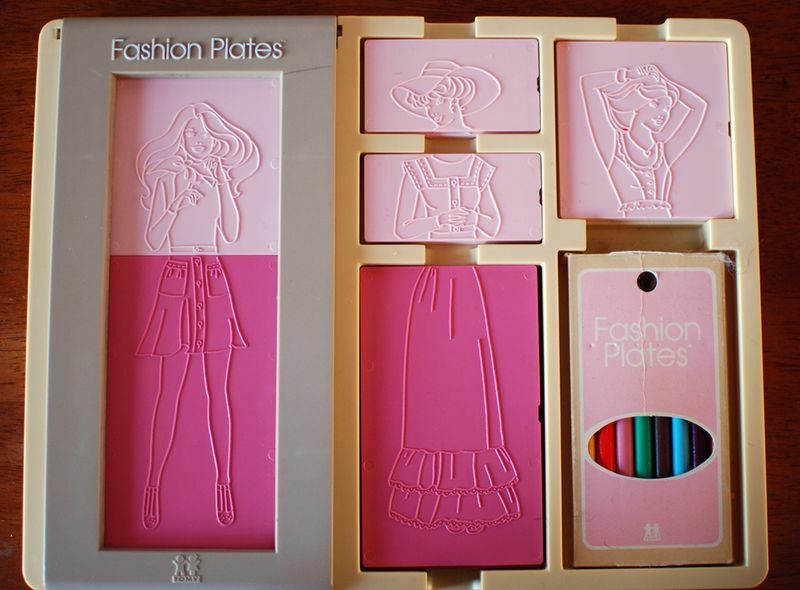 Fashion Plates was just a simple imprint of general people posing wearing different types of clothing that you could mix and match then colour to make your own outfit you designed! To start you picked the two or three pieces you wanted, put a piece of paper over it then ran the black crayon to get the outline then you start colouring! It’s almost creating your own colouring book which why it makes it so fun. Every kid would waste a lot of paper playing with Fashion Plates but they were a lot of fun that probably made a lot of girls and boys go into fashion. The only problem was there was only so many plates so you would run out of ideas for a new outfit! You can still get this toy now and days but I’m assuming would be much better with a lot more pieces! 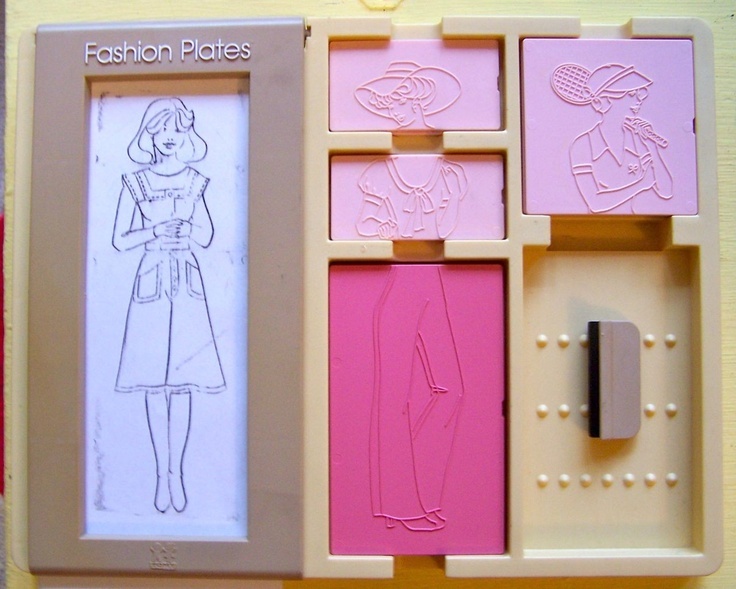 Let me know if you had Fashion Plates and if you made great outfits!